Then, as the storm barreled toward Florida, much of the world began to forget about the Caribbean island. But Robert De Niro did not. 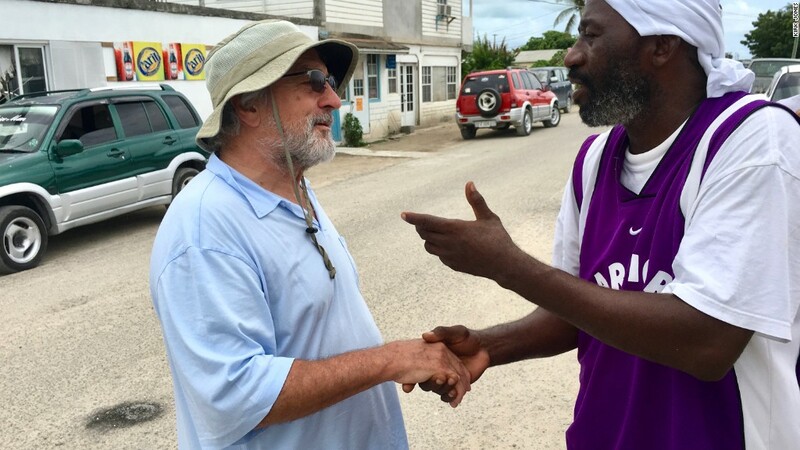 He quickly promised to help rebuild Barbuda after 95% of the buildings on the island were damaged. It was left uninhabitable for the time being, with no power, water or cell service. All the island's residents -- of which there's fewer than 2,000 -- were forced to evacuate. This week, De Niro sat down exclusively with CNN's Poppy Harlow to talk about his connection to the now-decimated island paradise, which he first visited decades ago. 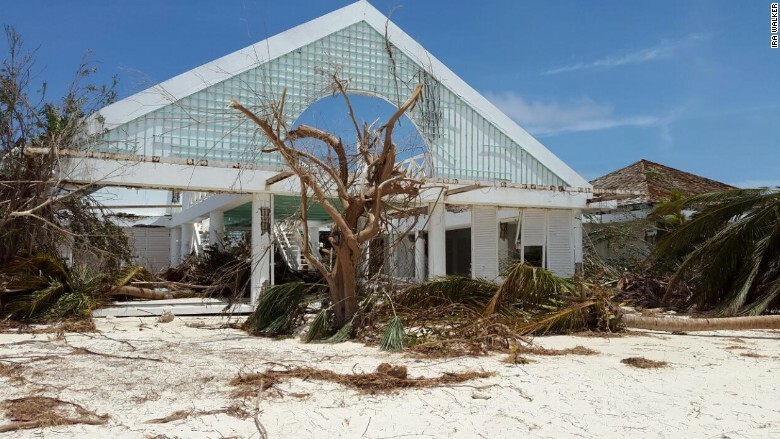 Club K on the island of Barbuda was left in ruins by Hurricane Irma. Recently, he took up a financial interest in the island with a plan to develop a $200 million resort through Nobu, the hospitality company he co-founded. De Niro, 74, says the island's allure is that it's been minimally developed, with endless acres of natural earth that are "unspoiled." "It's just a beautiful place, and it's quiet, and the people are nice," De Niro told Harlow. The location for his new resort was to be at the site of the former Club K, the posh hideaway that once frequently hosted Princess Diana before it closed down 12 years ago. De Niro wants to pour millions into a lavish new resort, build fresh structures and rename it Paradise Found. The goal is to draw more tourists to the secluded island and provide jobs to the local islanders. Mary Beth Medley, who lived in Barbuda for years and is heading up Nobu's Paradise Found development, said they plan to offer a job to "every Barbudan that's willing to work." But not everyone on the island was thrilled about the resort project. A group of Barbudans who oppose the island's governing party vocally opposed the plan. But ultimately, it passed a public vote. In an area where tourism is the economic lifeblood, De Niro noted that a new resort will be a major boon for the local economy. "It's an ambitious project. It'll take a long time, but we were about to start with investors...And then this happens," De Niro said, referring to the hurricane. But, he added, his dedication to the island goes beyond ensuring his venture moves forward. 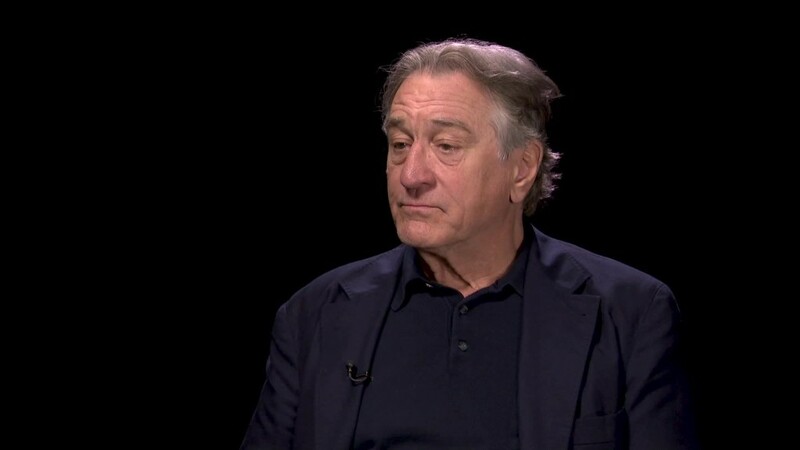 "I feel a responsibility to help everyone, to get everything up and running," De Niro said. "The most important thing is people first." Ultimately, Barbuda was among the places that was hardest hit by Irma. All told, the damage could cost more than $100 million, according to Gaston Browne, the prime minister of Antigua and Barbuda. Medley, the Paradise Found project leader, said her team has a fund to help rebuild local infrastructure. De Niro and some of his personal friends have contributed. "We've already donated [the money] to build a new airport," she said. And on Thursday, her team handed over a generator to help run the local water plant. But there's still a long way to go before the island is inhabitable once again. "The focus now is to help the government get people back to their homes," she said. You can listen in on CNN's full interview with Robert De Niro on Poppy Harlow's "Boss Files" podcast.